Avillion Admiral Cove is a prestigious Waterfront hotel located in Negeri Sembilan’s Port Dickson. 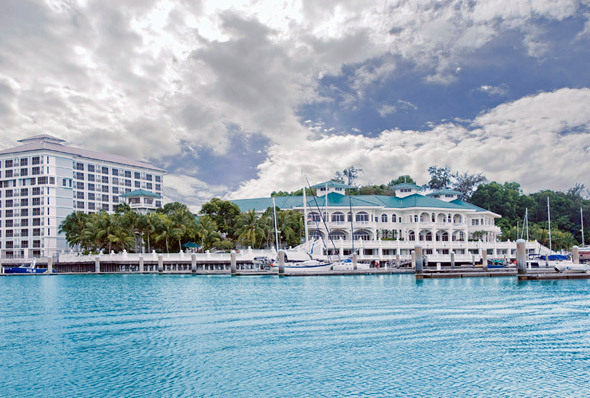 Just 10-minutes drive away from its sister hotel, Avillion Port Dickson, Avillion Admiral Cove has a track record in organizing banquets in ballrooms or even wedding dinner at outdoor venues. Avillion Admiral Cove Port Dickson is located at 5 1/2 Mile, Jalan Pantai, 71050 Port Dickson, Negeri Sembilan, Malaysia. A grand wedding dinner by the seaside under the skies with shinning and blinking stars on top of the couple, families, relatives and friends is definitely romantic and perfect, Avillion Admiral Cove, Port Dickson is the right venue for such a special occasion. Not to be missed that Avillion Admiral Cove is also providing ballrooms for banquet for those who prefers an in-door dinner. Impress your family & friends, and leave it to the team to organize your wedding day, signing ceremony or wedding blessings.